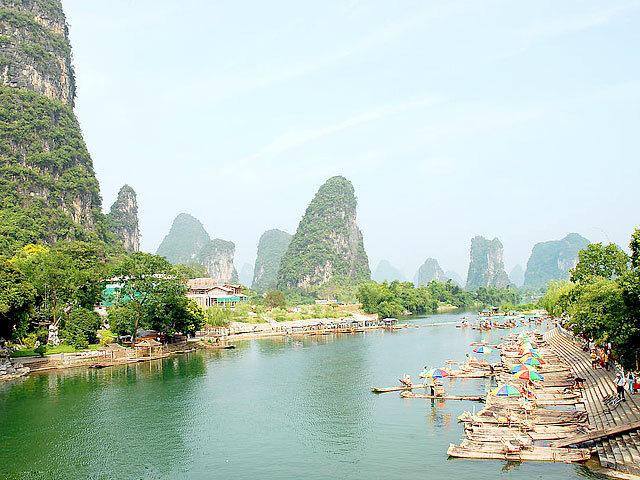 Through the 5 day in-depth package, we take you on a tour to see the most comprehensive aspects of Guilin and its neighboring towns – Yangshuo and Longsheng. Meet your guide at Guilin airport or Guilin Train Station, and then transfer to your hotel in Guilin city. Free time for the rest of the day. After breakfast, drive about 2 hours to Longsheng. 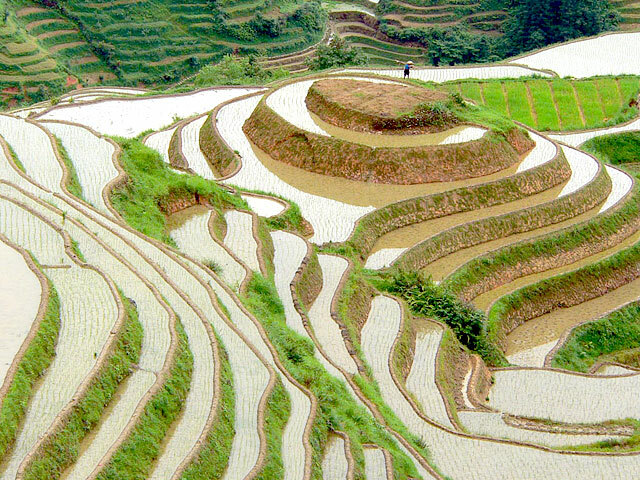 Within Longji Rice Terraces area, have a full day excursion for terraced paddy fields and ethnic minority culture. 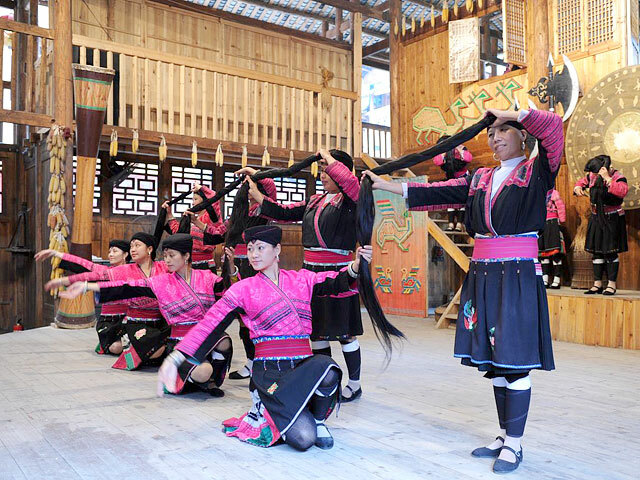 There allows some hiking to reach the viewing platforms at the terrace tops to take in the great views; Also, you have a chance to get close to two ethnic groups - Zhuang and Yao nationality and enjoy their colorful tradition and custom. 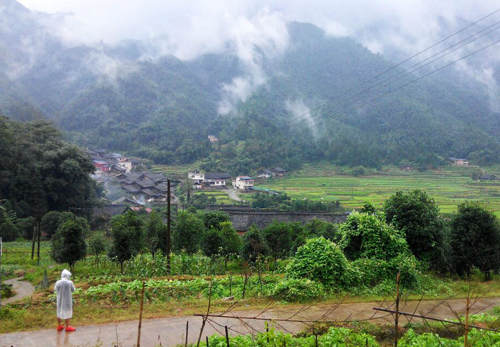 Visit some minority villages there and stay one night at Pingan village. Drive back to Guilin and visit a tea farm on the way, then have lunch in a good local restaurant in Guilin to try tasty Guilin cuisine. Visit Reed Flute Cave and Fubo Hill in the afternoon. 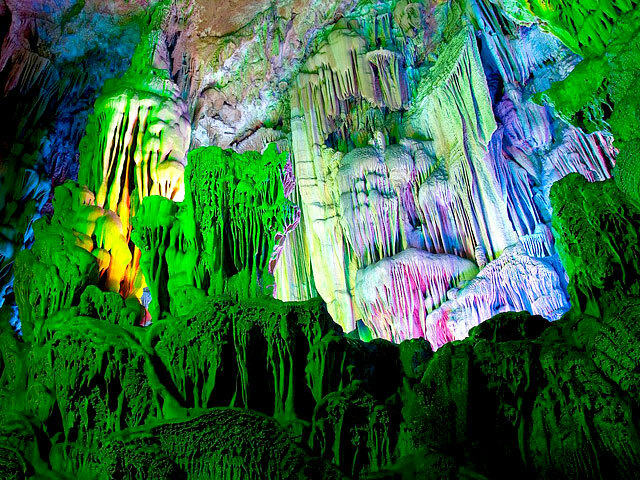 Reed Flute Cave is a brilliant cave marked on almost all travel itineraries. And the summit of Fubo Hill is the best place where you can get a good bird’s eye view of the whole city. Check out your hotel in the morning. 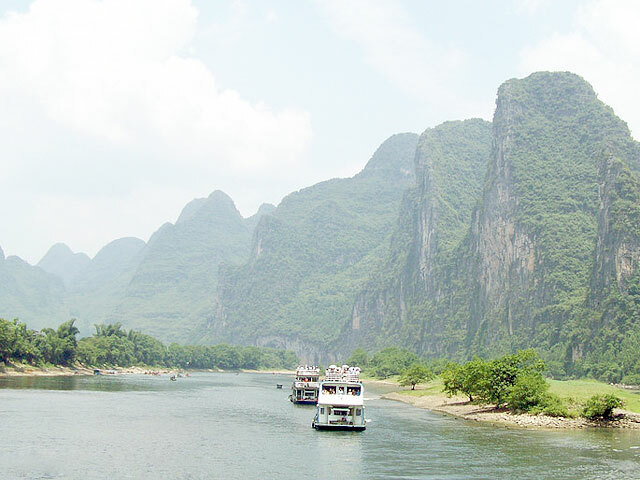 And drive to Zhujiang Pier for a 4-hour' cruise on Li River - the highlight of your Guilin tour with lunch aboard. You will enjoy the beautiful mountains, verdant fields, farms and villages with water buffalos, cows wondering around on both sides of the river bank. 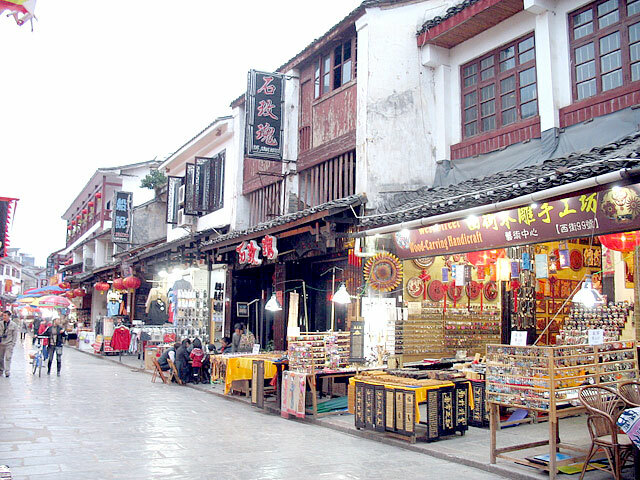 Get off at Yangshuo - famous for its spectacular and picturesque countryside. 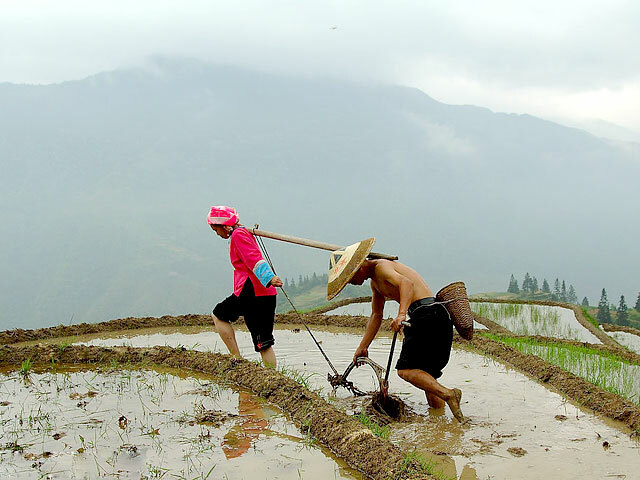 After check in your Yangshuo hotel, biking to the countryside with your guide for its breathtaking scenery and Chinese agriculture. This is also a very good time for you to go close to Chinese farmers. Then back to your hotel in Yangshuo. 1: For this tour, comfortable walking shoes are recommended. And the sightseeing time arrangement on the 1st and 4th day would be adjusted according to your flight or train arrival and departure time. 2:After arrival at the car parking lot of Longsheng Longji Terrace Field, you will need to climb step by step for 40-45 minutes to your hotel on the mountain. 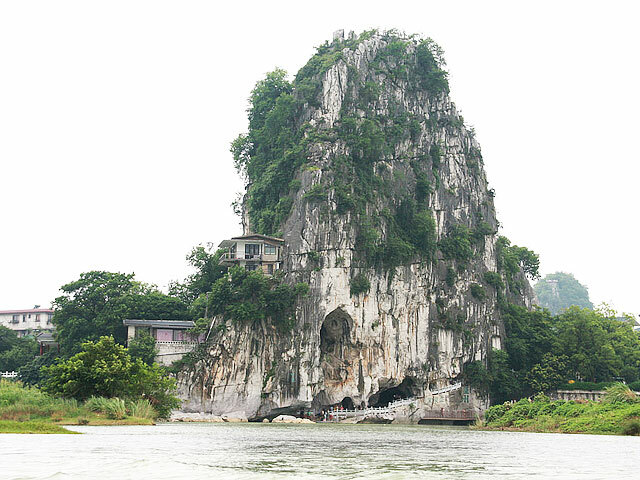 Thus, we suggest you store your large luggage at your hotel in Guilin and only take the necessities with you. Two-night at Guilin Hotel and one night Yangshuo Hotel with Western breakfast, one night hotel at Pingan village with simple Western breakfast. We are more than happy to be of service to you. 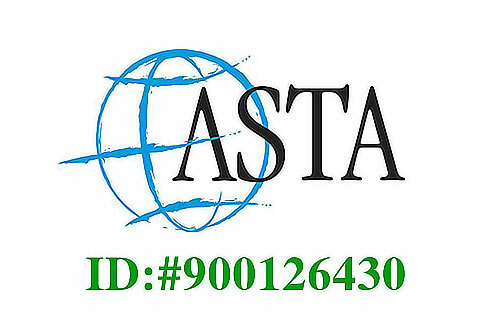 Regarding your trip to the above mentioned itinerary, our travel specialist will be in touch with you soon via email. Thanks so much for contacting Guilinholiday.com. We are so pleased to be of service to you. 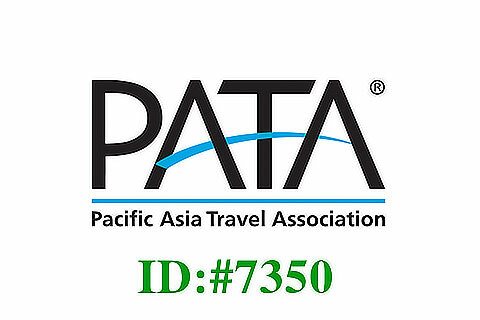 Regarding your inquiry, our travel specialist will get in touch with you soon via email. Have a nice time there! Hi, can you advise the price for 1 person reaching Guilin on 28 Oct evening and leaving on 1 Oct or 2 Oct night train to Guangzhou? Thanks. We are so pleased to be of service to you. Regarding the tour details, our travel specialist will get in touch with you soon via email. Hi, I wish to make inquiry about the guilin tour from Macau. I will fly to macau on 19/9 and back on 28/9. 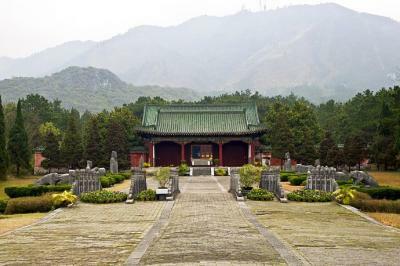 I would like have maybe 4 or 5 days Guilin tour which depart from Macau. Can please advise the itinerary and what will be the most convenience transport to Guilin from Macau. Appreciate your fast reply as we are short of time. We are very glad to be of service to you. As to your trip from Macau to Guilin, our travel specialist will be in touch with you soon via email. 2 pax. ETA 5th Jan 2015.